Parineeta Singh has always known her purpose in life: to help exact revenge on the invading British and free India. She becomes a maid for General Carton in order to supply information to her brother's Indian revolutionary group. But when her employer is exposed as an American spy, she agrees to help him escape the British Raj. Navigating between the lavish social circles of the British elite and the dense jungles of 1920s India on the brink of the country's revolution, the two must find a way to protect both their lives and their love. Revolutionary Hearts is a historical romance novella set in 1920s India that centers around the Kakori Train Robbery. The story begins with Parineeta Singh, a spy for her brother’s revolutionary organization. She serves as a maid in a British general’s house to supply information for her brother’s group. However, the British general, Warren Carton, is actually an American agent sent to uncover information about possible anarchist threats. When his true identity is discovered, the two must find a way to escape. Along the way, they steal from the government treasury, experience being chased by British soldiers, and become part of India’s independence movement. I’ve come to appreciate the research aspect of historical fiction. It’s amazing to immerse oneself in a new place through fiction, and I hope my book provides that experience for readers. Romance, of course, is a wonderful genre to write about. 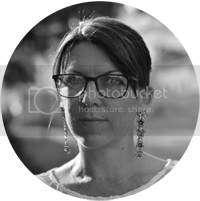 Heightened emotions always provide a juicy source of conflict – and it’s so much fun to read. Writing is a great medium of communication. There’s a certain connection between the author and reader that can’t be found anyplace else. I’ve also always loved reading. Reading involves using one’s imagination – to envision the characters, the setting… It’s not all laid out for you like a movie or a TV show. I would say other teen writers inspire me. Anna Caltabiano, Tavi Gevinson, and many other young authors, bloggers, and freelance writers spend so much time communicating with the world and help lower some of the barriers to entry that teens experience in the writing world. Anywhere outdoors! Being outside in a more isolated spot (preferably not too near a crowded café) provides a ton of inspiration for writing backgrounds and developing another world. Two of my favorite authors are Robert Ludlum and Lucy Maud Montgomery. Ludlum’s a master of combining technical descriptions with smart, fluid prose. And Lucy Maud Montgomery may not have written thrillers, but she did write several longer book series that follow the progression of vibrant characters throughout their lives. I’d choose some established indie authors like Bella Andre, Hugh Howey, and Joanna Penn. They’ve turned into their own virtual small presses with the amount of work they’ve put out into the world. I find the business side of publishing fascinating, and all these authors have embraced the entrepreneurial side of writing. I’ll definitely continue publishing novels, but what genre remains to be seen. I told myself after One Last Letter that I probably wouldn’t publish any other historical romance novels… and then I wrote Revolutionary Hearts. Currently, the plan is to continue editing my contemporary New Adult manuscript. It’s a millennial revamp of Pride and Prejudice set in a Southern California college. See my work be adopted for another medium, or write for another medium. I’ve been playing around with the idea of writing a screenplay, and I hope someday I will. An author! Ever since I was in elementary school I knew I wanted to publish books and create stories for the world’s consumption. I’m so thankful to be able to publish my novels today. 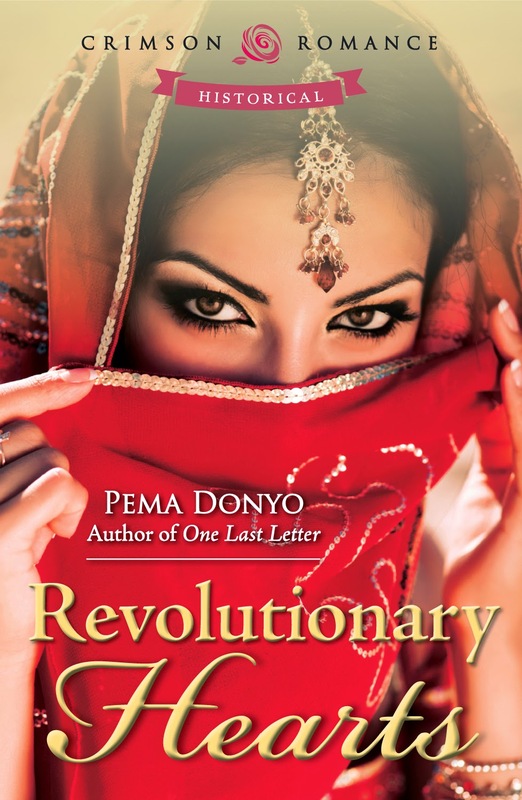 Pema Donyo is the author of young adult and historical romance novels. 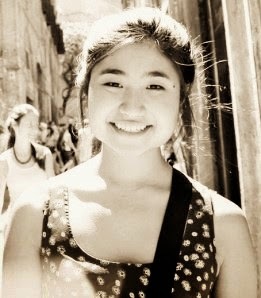 She is also a coffee-fueled college student by day and a creative writer by night. She currently lives in sunny Southern California, where any temperature less than 70 degrees is freezing and flip-flops never go out of season. As a sophomore at Claremont McKenna, she's still working on mastering that delicate balance between finishing homework, meeting publisher deadlines, and... college.